Elder abuse, neglect and exploitation affects one in ten older Americans causing untold suffering for victims and those in their support network concerned about them, and costs billions of dollars. The costs are borne by individuals, families, public programs and communities. 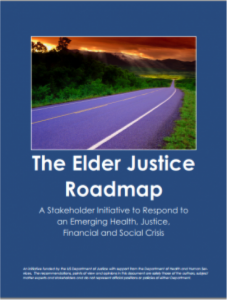 Given the widespread health, legal, social and economic implications of elder abuse – and that it is a constellation of complex problems requiring a multipronged response from multiple systems and disciplines – the US Department of Justice with support from the Department of Health and Human Services sponsored the Elder Justice Roadmap Project and Report initiative. Risa Breckman, LCSW, Executive Director of the NYC Elder Abuse Center, is co-author of the nationally acclaimed Elder Justice Roadmap Project Report. 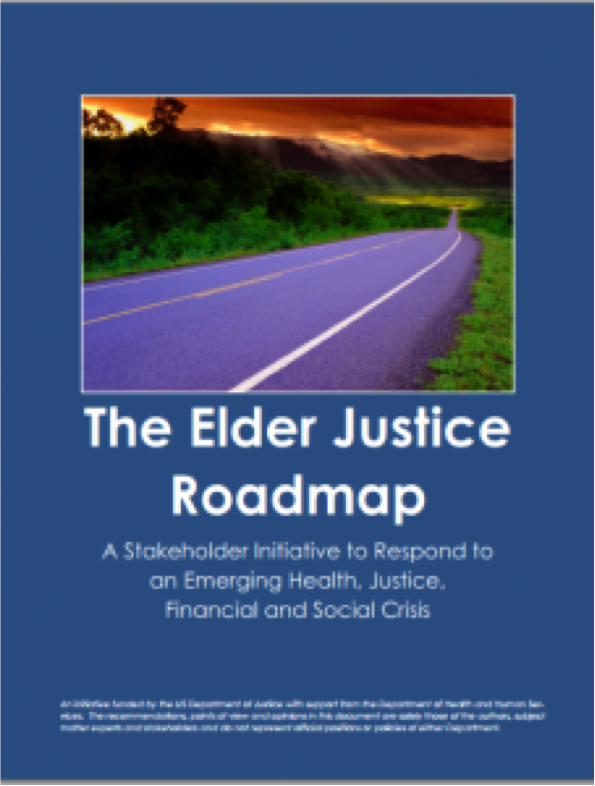 Released in July 2014, the Report is a strategic planning document “for the field, by the field.” The result of a three-year process of interviewing and engaging 750 elder justice stakeholders from around the country, including direct service providers, policy workers, and government officials, the Report calls us all to action to pursue elder justice. AWARENESS was identified as a priority because elder abuse is a complex and dynamic problem that requires a holistic, coordinated response by a range of individuals and agencies who need to be educated enough to recognize and respond appropriately. Practitioners, educators, researchers, policy makers and the general public all need to be more aware of elder abuse and how to address it properly. BRAIN HEALTH focuses on diminished capacity and mental illness as significant issues that need to be de-stigmatized and better understood and addressed in regard to both elderly victims of abuse and perpetrators. A focus on research in this area, the experts determined, could eventually lead to abuse prevention strategies and effective responses. Greater support, in the form of resources and training, for the tens of millions of CAREGIVERS, paid and unpaid, who care for the elderly will help them identify, report, and prevent abuse. Quantifying the ECONOMICS of elder abuse is critical. Financial exploitation is just one category; all types of elder abuse have a price tag, to both victims and society, and calculating those costs (especially to Medicare and Medicaid) is a first step toward finding effective ways to reduce both the abuse and the cost. RESOURCES, because they are always scarce, must be invested strategically in services, research, and a database of knowledge and best practices in order to make the most effective use of them.